This Graduate Certificate in Autism Studies is accredited by the University of Limerick and is delivered as a partnership between Middletown Centre for Autism and Mary Immaculate College. Middletown Centre for Autism is funded by the Department of Education and Skills and the Department of Education in Northern Ireland to promote excellence in the education of people with autism. As such, the Centre works on a referral basis with children who have complex needs in school and the Centre is one of the main providers of training for parents and educational professionals in Ireland and Northern Ireland. Mary Immaculate is a College of Education and the Liberal Arts and has been providing teacher education since 1898. Mary Immaculate has considerable experience and expertise in the provision of teacher education in the area of Special and Inclusive Education including autism. The College’s Department of Educational Psychology, Inclusive and Special Education is led by Dr Patricia Daly, who is a co-organiser of this course on autism. Both agencies recognise the need for high quality graduate autism professional development in Ireland and Northern Ireland and the Graduate Certificate in Autism Studies will meet this need. Course Times Delivery The face-to-face component of the certificate will be delivered on a maximum of two Saturdays per module*, in Mary Immaculate College Limerick and in an agreed location convenient to students in the north/east of the country. Students also be required to engage with a range of research papers, podcasts, videos and reflective exercises. The online content is delivered through and supported by Mary Immaculate College’s Moodle platform. All students will be enrolled as students of Mary Immaculate College and will be required to complete formal assessment prior to the award of the Certificate. Successful completion of the Certificate provides a successful candidate with 30 ECTS / 60 CAT point. *Approximately ten Saturdays across the Academic year. 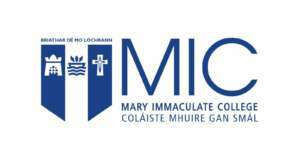 For information about Mary Immaculate College, please visit our college page on www.nightcourses.com by clicking here.